Coming soon is the Online Marketing Summit Summer Tour, hosted by ClickZ. Online marketers, from novices to seasoned veterans, will gather to network and sharpen their marketing abilities. Each attendee will walk away having learned cutting-edge, hands-on skills related to everything from social media to paid search. 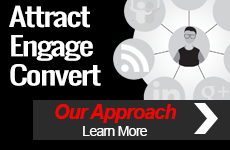 On June 2nd, Online Marketing Summit will be making its stop in Minneapolis, MN. On hand for two sessions, including a “super panel” to conclude the day, will be TopRank® Online Marketing CEO, Lee Odden. 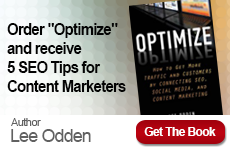 During the session, Twitter and Advanced Blog Strategies, Odden will introduce attendees to the Social Media Road Map. Encouraging businesses to identify audiences and business objectives related to any social media initiative, the Social Media Road Map strategically aligns marketing with long-term social strategies that work. Rounding out the day, Odden will join a keynote panel discussion, Big Brands, Big Plans. Odden joins an esteemed panel including ClickZ Vice President of Marketing Matt McGowan, Jeanniey Mullen, CMO Zinio, Founder of Email Experience Council, Kevin G. Espinosa, eBusiness Platform Manager, Caterpillar and Keith Dieruf, Manager, Online Marketing, Ameriprise Financial, who will share how leading brands are driving success through social media marketing and Search Engine Optimization (SEO).